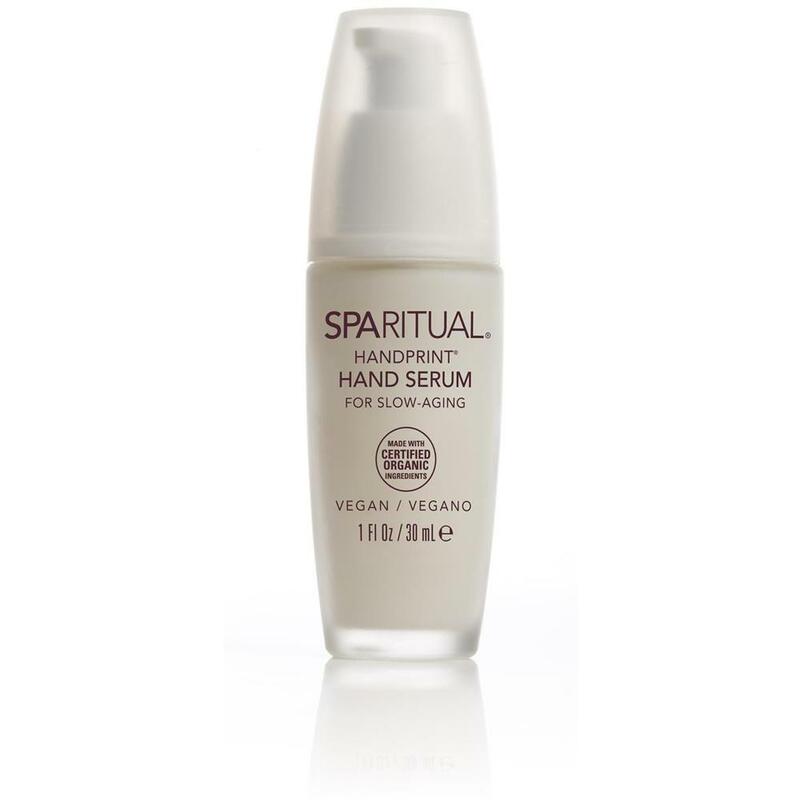 Handprint Hand Serum by SpaRitual is a must have to add some added luxury to your manicures! SpaRitual is ideal for your high-end spa. The brand focuses on mind, body, spirit, and connects with healing spa traditions. It encourages women to approach beauty as a "holistic connection" and is deeply devoted to ethical business practices, with a socially responsible philosophy, environmental consciousness, and compassion. Ideal for an eco-friendly business. Handprint is made with 72% certified organic ingredients and formulated with the very best in plant technology, along with powerful botanical antioxidants for maximum effectiveness to slow the effects of environmental damage while restoring the skin's elasticity, soft texture, and complexion, leaving the hands smooth and supple. Introduce the Handprint Hand Serum in the 4 oz. in your services. Your clients will be blown away by the immediate difference in their cuticles, nails, and hands! Offer the Handprint Hand Serum in 1 oz. as a hot retail item! Facial Renewal Cream Cleanser - This gentle facial cream cleanser refreshes skin with AHA, hydrates with aloe vera and jojoba, and brightens with vitamin C. Satin Smooth® Renewal Facial Cream Cleanser removes residual makeup, daily impurities and dead cells for radiant, younger-looking skin. 5 oz. Exfoliating Foaming Facial Cleanser - This rich exfoliating cleanser revitalizes your skin and polishes away the dullness of daily environmental pollutants. Formulated with powerful microbeads, vitamin C and mild foaming cleansers, Satin Smooth® Exfoliating Foaming Facial Cleanser exfoliates and conditions for a long-lasting, healthy-looking glow. 5 oz. 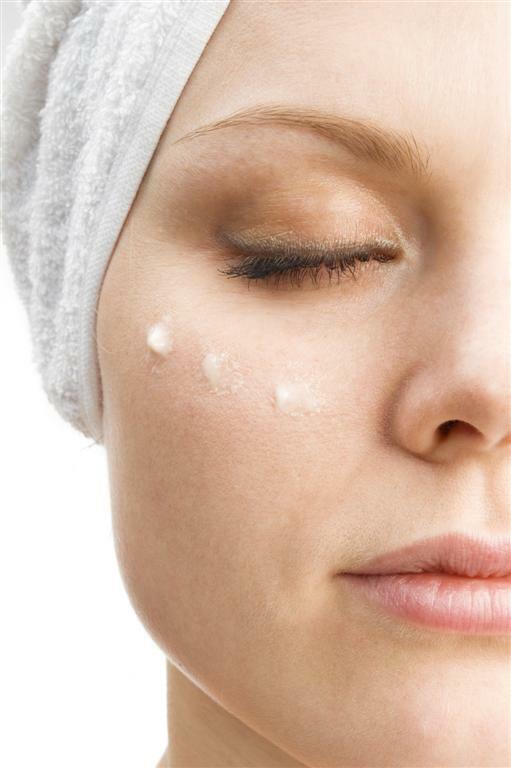 Day-Night Moisturizer - This multipurpose moisturizer gives you the flexibility for a 24-hour routine. Provides all-day-and-night moisturizing repair. Satin Smooth Day/Night Daily Moisturizer is enriched with Axp33™ + vitamin C to help diminish the appearance of fine lines and wrinkles for smoother, brighter and more radiant skin. 1.7 oz. Daily Moisturizer SPF 30 - Dynamic dual formula that works as a UVA/UVB sun shield and anti-aging moisturizer. Formulated with Axp33™ + vitamin C and other enriched ingredients to help fight wrinkles, brightens, and repairs while protecting skin from free radicals. Satin Smooth® Daily Moisturizer, if used as directed, helps decrease the risk of skin cancer and early signs of aging caused by the sun. 1.7 oz. 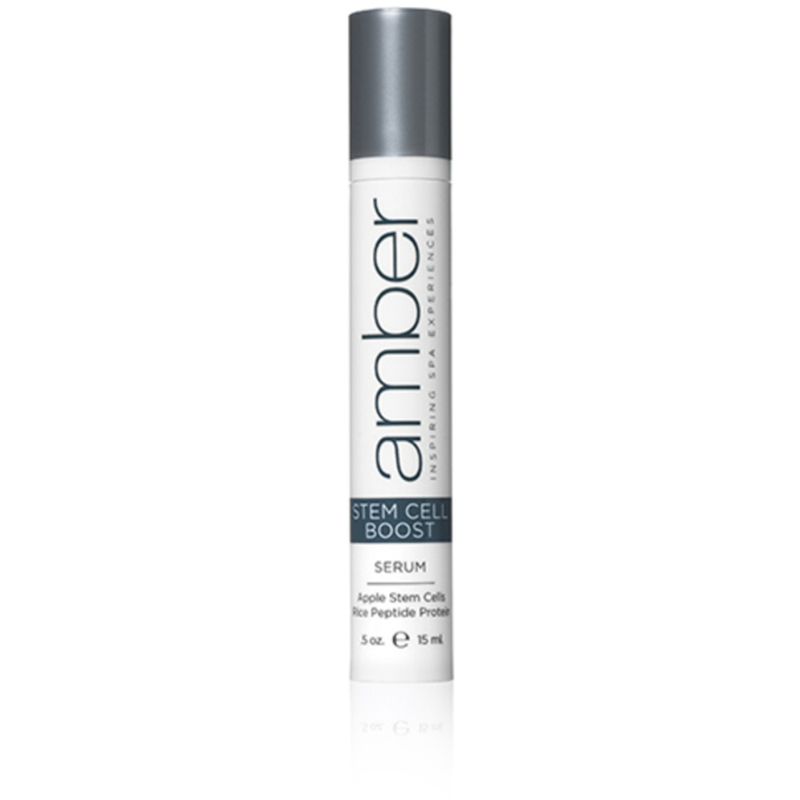 Skin Care Serum - Youthful Boost / Anti-Aging - This silky serum plumps, hydrates and restores skin's youthful integrity. Uniquely formulated with peptides, antioxidants and hyaluronic acid, Satin Smooth® Youthful Boost Serum helps skin look and feel younger. 1 oz. Skin Care Serum - Clarifying Action / Problematic Clarifying - This skin clarifying serum cleanses oily and environmentally stressed skin. Concentrated with botanicals, antioxidants, vitamin B3 and mandelic acid, Satin Smooth® Clarifying Action Serum brightens and helps improve cellular turnover, and is recommended for problem skin to restore its natural balance. 1 oz. Skin Care Serum - Ultra Bloom / Brightening - This anti-aging serum gently brightens and nourishes UV-damaged and aging skin with botanicals, antioxidants and vitamin B3. Satin Smooth® Ultra Bloom Serum illuminates skin by reducing the appearance of dark spots and smoothing away dead skin cells. 1 oz. Skin Care Serum - Stay Calm / Sensitive - This light, soothing serum helps reduce redness, dryness and uneven skin tones caused by daily environment and aging. 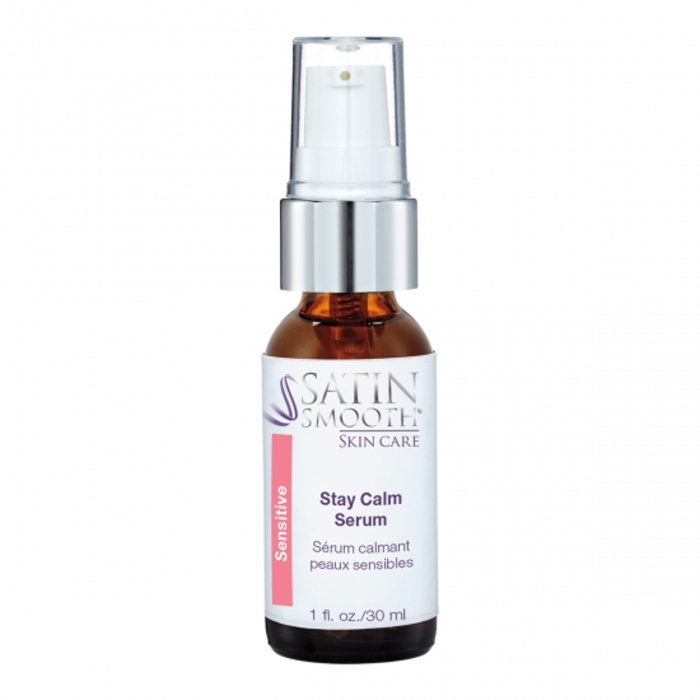 Satin Smooth® Stay Calm Serum is ideal for sensitive skin, and helps minimize the appearance of fine lines and wrinkles. Amber Steps To Brighten Up Facials! Amber Products has come out with new products that will aid in the attempt to make your clients skin more lively and younger looking with their anti-aging and brightening serums both in back bar and retail sizes! We all know and are very familiar with Amber Products and now have come out with these items that will definitely have an immense effect on your clients' skin. The Anti-aging Serum comes complete with a unique blend of anti-aging ingredients. For the Brightening Serum, the Koljic Acid is mixed into this gel for the perfect level of whitening and lightening of certain marks. 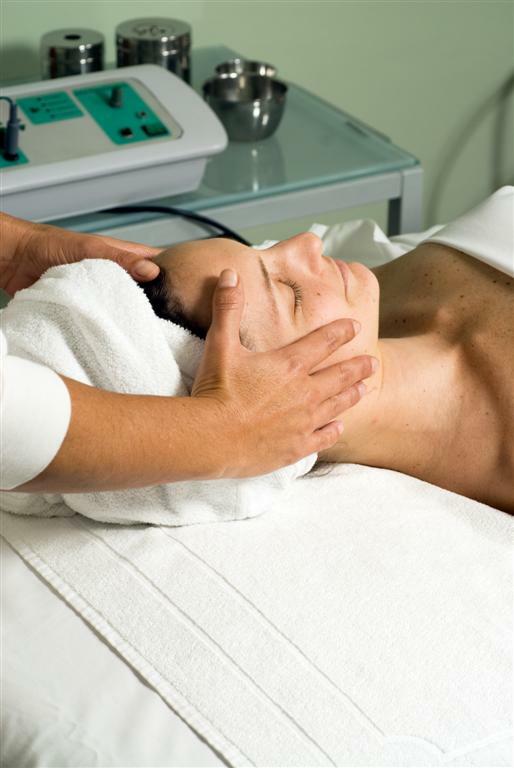 Its a perfect addition to your facial services. What's even better is that it produces results. Which is why they have produced a retail size. Perfect for the take home extras that will have your clients coming back again and again. Check out Pure Spa Direct for all of your Amber Product needs.